Sock Liners To Use With Ruffwear Dog Boots. 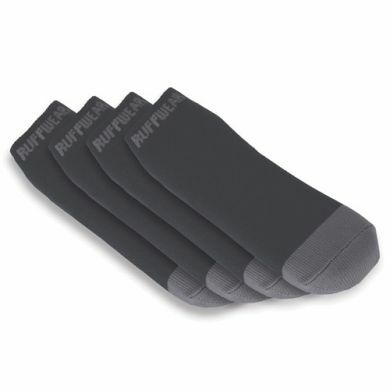 Set of 4 Socks. Ruffwear's Bark'n Boot Liners enhance the fit, upgrade the performance, and improve the comfort of all Ruffwear dog boots. Sold in a set of 4, the boot liners are designed to be used with Ruffwear Grip Trex, Polar Trex, and Summit Trex dog boots. Dogs sweat through their paws and the boot liners wick moisture away from paws in warm conditions. 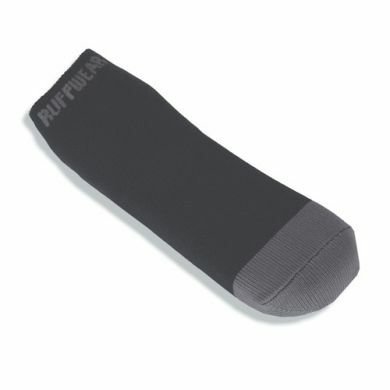 The Boot Liners come in 4 sizes to match the sizes of Ruffwear dog boots. 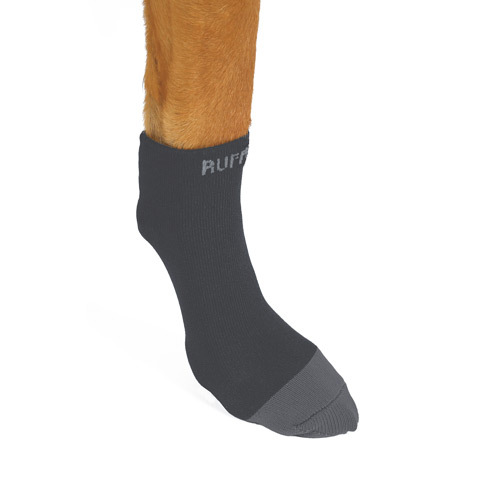 It makes putting on Ruffwear boots a cinch! Particularly ideal if your dog has a dew claw. 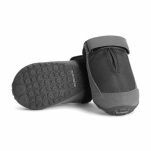 The Bark'n Boot Liners work to protect paws from irritation and abrasion, make putting the boots on easier and quicker, and enhance the fit and performance of Ruff Wear dog boots. We've found that Bark'n Boots can definitely be worn without the liners, but dogs' paws are the one location from which they perspire so it's good for them to have something to absorb excess moisture. I use the liners on my dog because I find my closed shoes more comfortable when I wear a sock, so I think she will too. 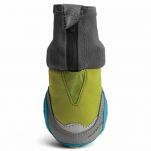 The liners do ease the process of putting the boots on as well because your dog's paw is contained rather than spread as you're putting it into the boot. Read 61 customer reviews of Ruffwear Bark n Boot Liners. The average customer rating is 4.8. The boot liner socks makes it very easy to put the boot on. Happy wit this product. Good quality boot liners but they slip off our dogs feet and cause the boots to come off with them. I bought the corresponding size to the boots, but probably should have got a smaller size. He's managing really well just with the boots on their own. Sorry had to return as were far too small for measured 3.25cm paws. Ordered 3.25cm liners. Disappointed but they looked good quality and matched his shoes. The Ruffwear Bark n Boot Liners are fantastic! They make putting boots on a lot easier as you don't have to worry about getting their toes caught inside the boot. It provides you with a much smoother application of the boots. They are great quality and can stretch to your dogs foot size. We use them all the time when we put my dogs boots on. It also looks very comfortable for the dog and they do not look like they are in any discomfort at all. 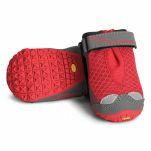 Great liners for terrific Ruffwear boots. At first I thought they'd never fit our big GSD boy but they are a breeze to put on and they stay on too. Easy to clean as are the boots. Recommended.